You know what I love about summer? 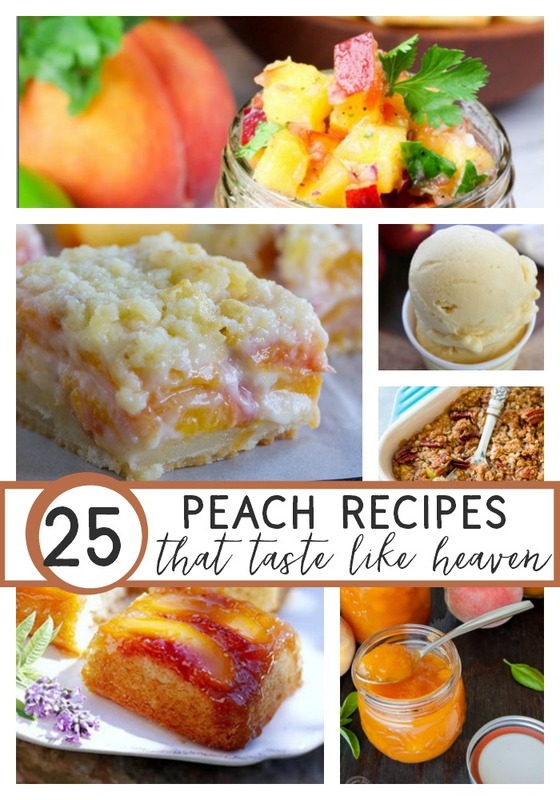 All the peach recipes! Not eating your fresh fruits as fast as you had hoped? Don’t want to toss them? 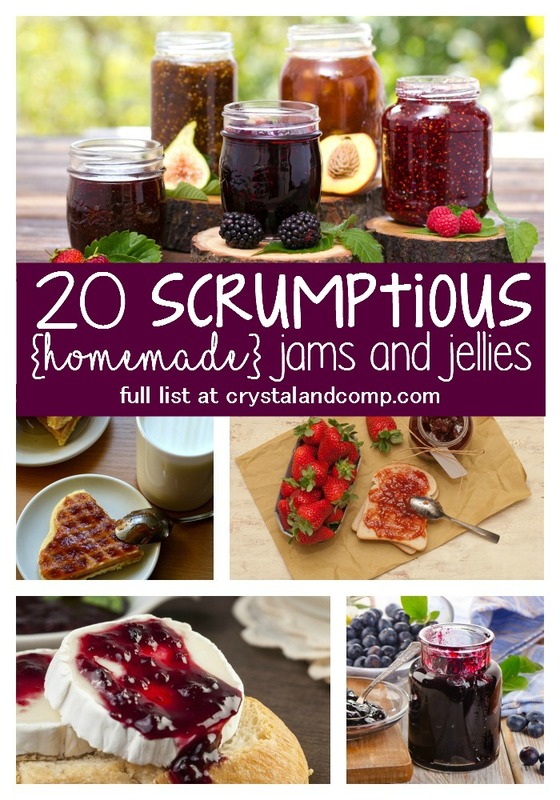 Make homemade jam and jelly recipes! It is so much easier than you think AND you can use your Instant Pot to make it that much easier. 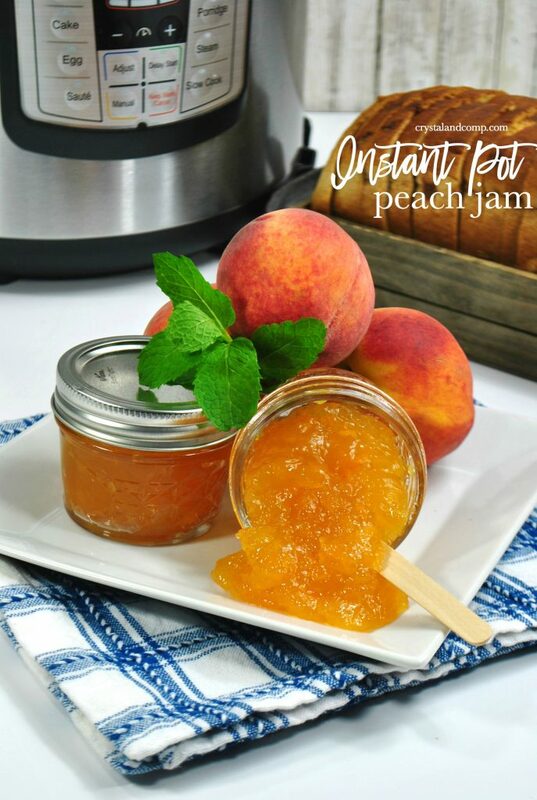 This homemade peach jam recipe is one you will love! Use it for breakfasts, add it to your peanut butter and jelly sandwiches or use it as a marinade! Yum! Gather up your ingredients. Here is what you will need. Pit the peaches and dice them up. Toss them into the pressure cooker insert. Toss in the rest of the ingredients over the diced peaches. Place the Instant Pot insert into the Instant Pot. 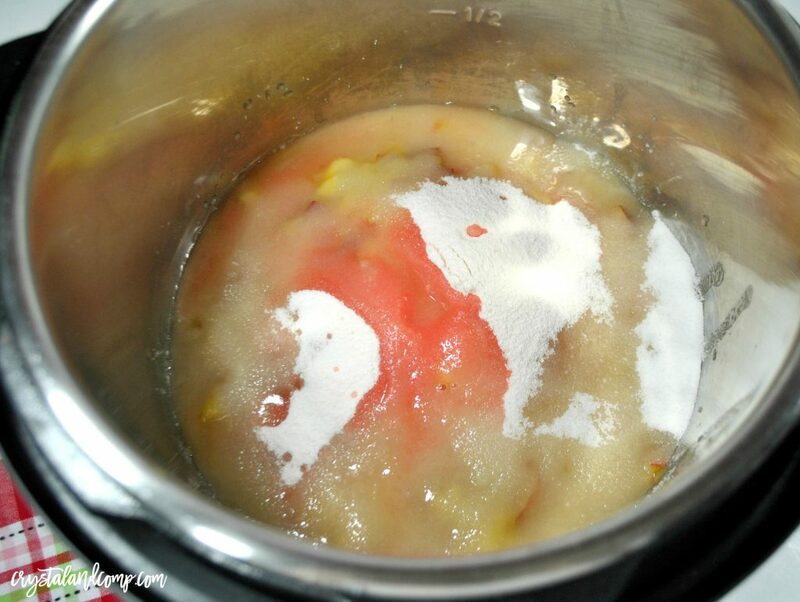 Place the lid on the pressure cooker and start the pressure cooker in manual mode for 1 minute at high pressure. When it is done cooking, release the pressure naturally. Now, we are going to saute. 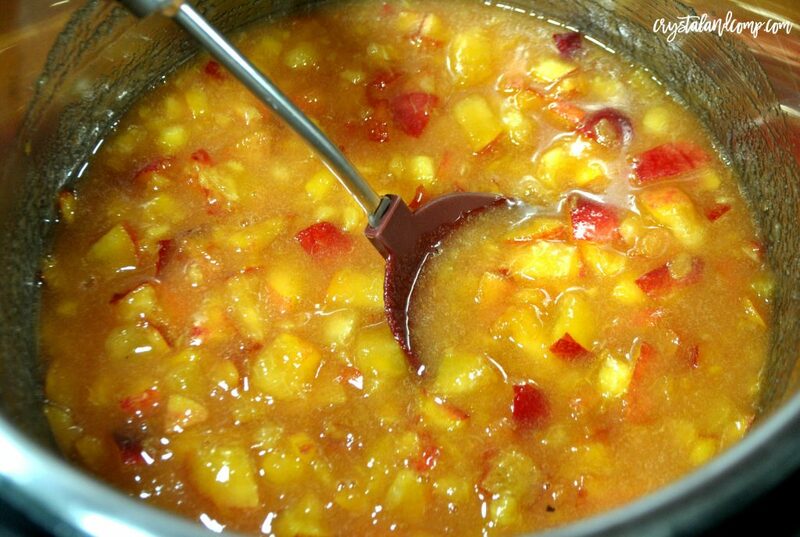 Move the Instant Pot to the saute function and allow the peach mixture to simmer for 12 to 15 minutes. Our goal here is for as much of the liquid as possible to evaporate. Once this happens it will start to thicken. This means you’re almost done! Now, let’s mash it up! Grab your potato masher, mash the peaches into a puree. This is a fun way to incorporate the help of your kiddos. 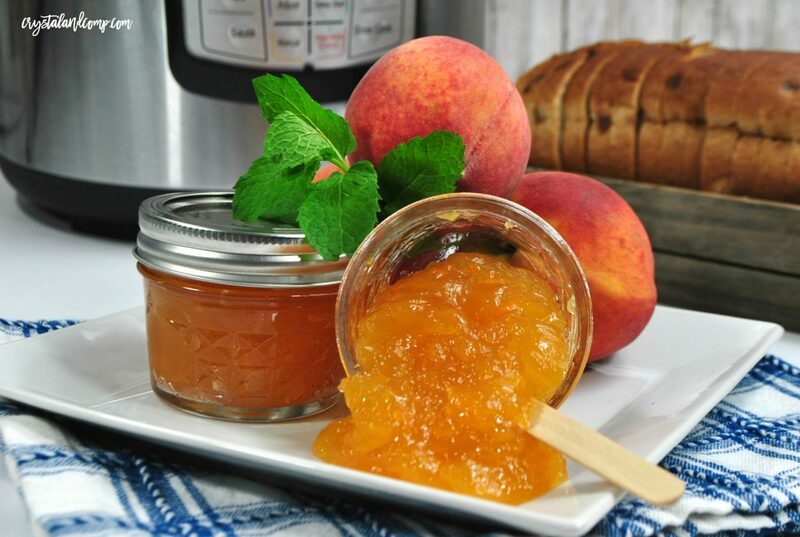 Story your peach jam in a mason jar. It will keep for a few weeks. The sugars serve as a natural preservative. If you want to find the perfect recipe for using up whatever fruit you have an abundance of, search no more. We have a ton of homemade jam recipes here. Have tons of peaches you want to use up? Here are all of our favorite peach recipes just for you! You could cook it on the stove for about 30 to 45 minutes instead OR cook in the slow cooker on high for about 2-4 hours.